It's a lot smoother on the inside edge where the tooth joins the side of the mouth on the MP. The movie poster mask has the correct tiny bumps there, and although I can make out one of the small ones on the MP, it's not really the same...yes it could be covered by the thick paint, but those little circular bumps are on the original as well....well three of them in particular...the others are unique to the movie poster mask (I'm basing this on higher resolution images of the screen mask, the MP, and other masks). If the faceplate was sanded down and repainted, which appears to be the case, then those bumps wouldn't be there anyway. You are failing to see that the curvature of that tooth matches the promo helmet and this MP helmet. The original does not have that curvature to it and, as I already stated, neither does the TD, TM, SL, VP, DJ etc. It may have been a casting flaw since it most likely came from the same SL/DJ molds. Ok do you mind pointing out which part of the tooth has that curvature and I'll have a look again...do you mean where the tooth meets the side of the mouth triangle? Nearly complete costume including original flight case, missing gloves and vest. The helmet is the one used for the ESB teaser poster and the costume or parts there of, have been used in Darth Vader posters of the era. 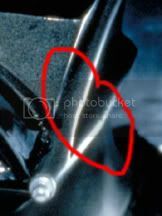 Some believe and there is a strong possibility, that what's left of the suit (pants and arms) maybe the original screen used items. 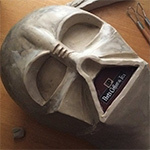 The cod is a prototype, which may predate the one in ANH. The B&N tag on the back has the name Vadder instead of Vader. Like which other posters? The helmet might be the one used in the poster but the mask is uncertain, but possible. Looks pretty close at first glance. What say youz guys? 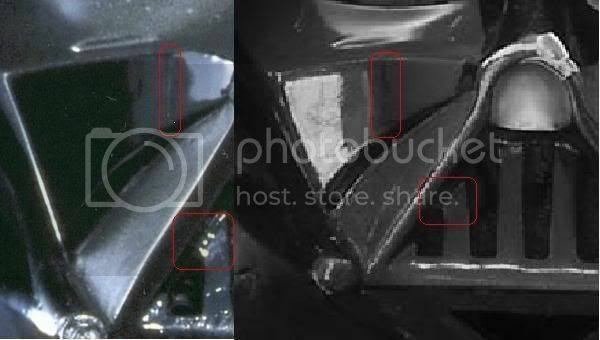 I noticed that detail back when I was examining and posting my comps and I believed it was the same faceplate and dome. Trying to get others to see what you see, however; can be an irritating task and hardly worth the trouble at times. As far as the other parts, it's certainly possible that some parts, like the pants, could be original screen used pants. The routine mentality in the community is; prove me wrong, rather than the burden of proof being on the individual who originally makes the claim. So I guess he and anyone else can claim whatever it is they want with regards to their props. I'm not implying he's wrong, just that to prove it one way or another is very difficult when you are dealing with pics. It takes so much more than just doing a few comps. Either way, it's a very cool setup and it was a pleasure seeing the pics he and Jez shared. If the parts are what he claims them to be, then great for him. I have been looking at this helmet a bit and I am wondering if anybody else is seeing what I am seeing on the left cheek (left looking onto the faceplate). I am not sure due to angles and the resolution on the pics given but does this new helmet have the same paint run down the left cheek and with it being heavily painted over it has dulled down and slightly widened. The tooth on the left side highlighted is also quite convincing it is the poster helmet possibly modified over time. I'm not completely convinced the left cheek's vertical line is a physical effect. They are in different positions. However, it might be a reflection of the vertical pole of the lighting umbrella or light source. In my opinion its definetly the poster helmet inclusive mask. Funny you mention the pants Pete....I was just studying them this week. 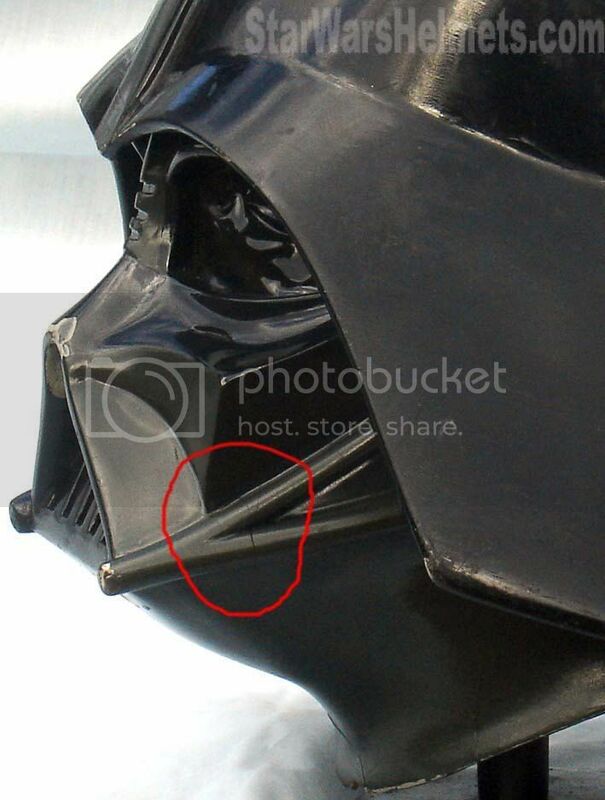 It looks to me as though the crack on the movie poster helmet is much farther back on the tusk tube than the recently found one, unless I am not looking at the right crack....wait, that didn't come out right. That comparison looks a little better, but still not the same. Now the tube merge looks completely different. I agree it would be great if we were able to match the exact same camera angle and variables.